The frame accepts thru axles (150 x 15mm front, 197 x 12mm rear) which create a stiff platform with responsive handling. 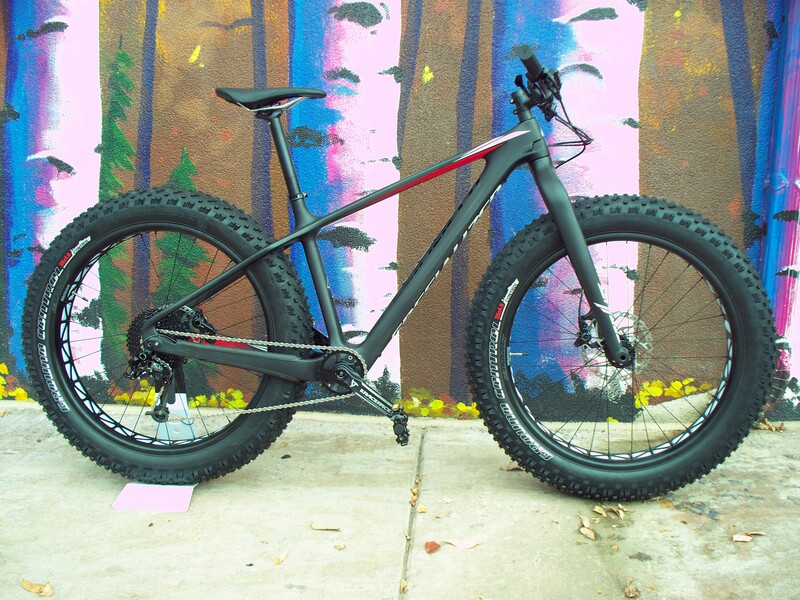 We weighed our medium Fatboy Comp Carbon in at 28.5 lbs (12.9 kg) without pedals. 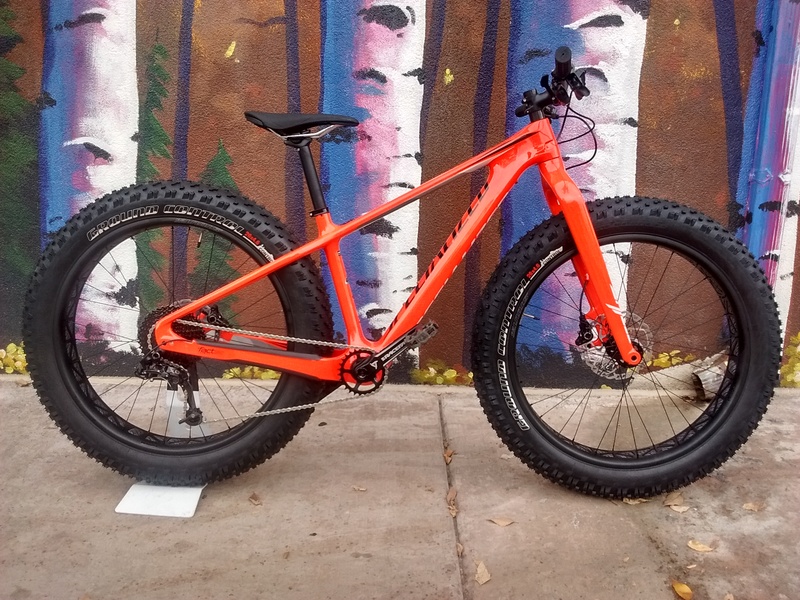 Check out all of the nitty gritty specs on the Fatboy Comp Carbon page. 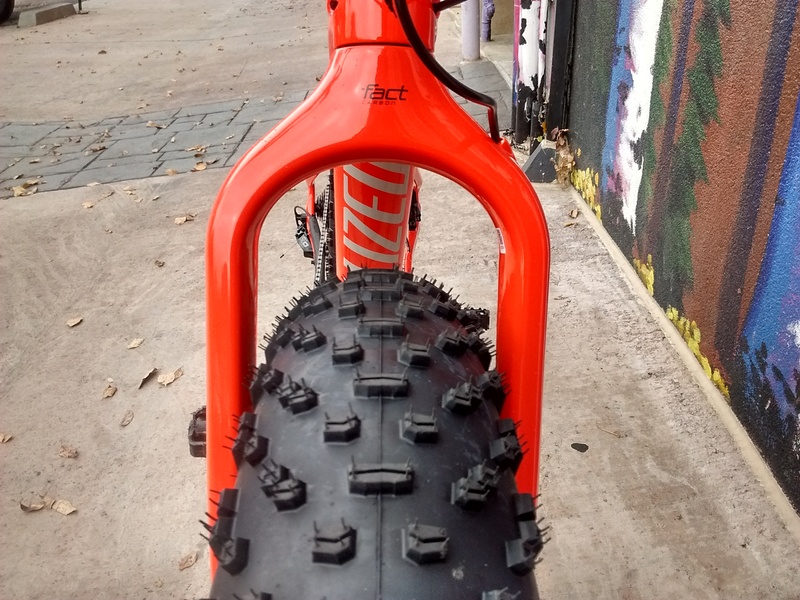 Ground Control 26 x 4.6″ Tires provide loads of traction. 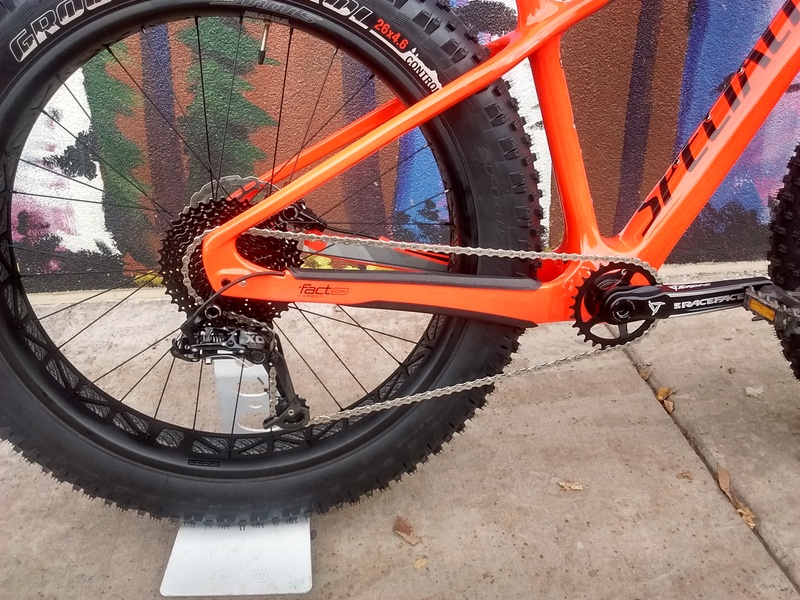 The 2016 Fatboy Comp Carbon comes equipped with Shimano Deore brakes with Ice-tech rotors. 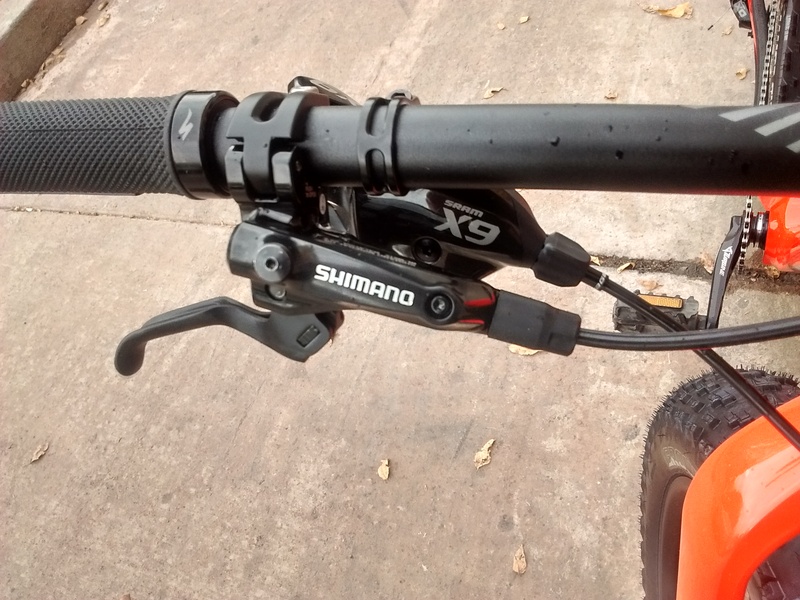 The rear derailleur is controlled by a 10-speed X9 shifter. All of the cables are internally routed through the frame which protects them from the elements and creates a clean aesthetic. A Race Face Turbine Cinch crankset with narrow wide chainring pairs with a 11-40t cassette, providing ample gear range and excellent chain retention. 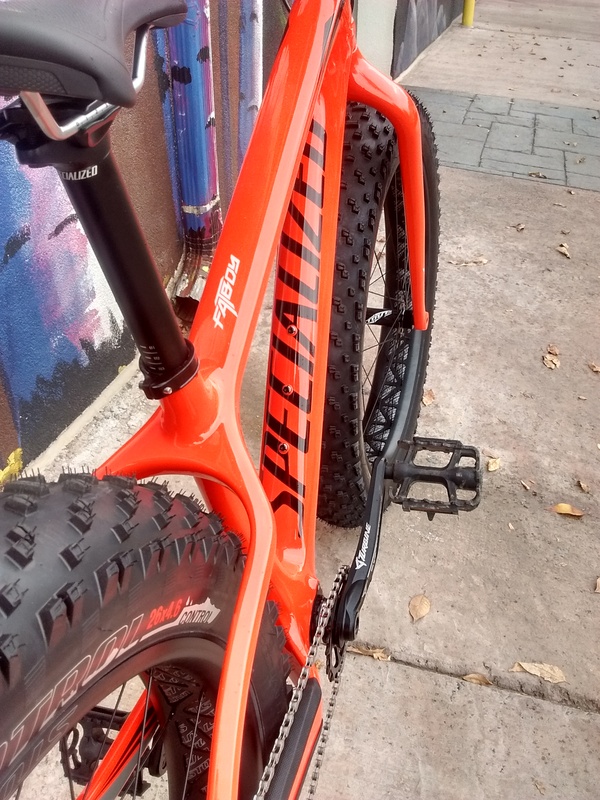 The frame and fork are made with Specialized’s FACT carbon technology. 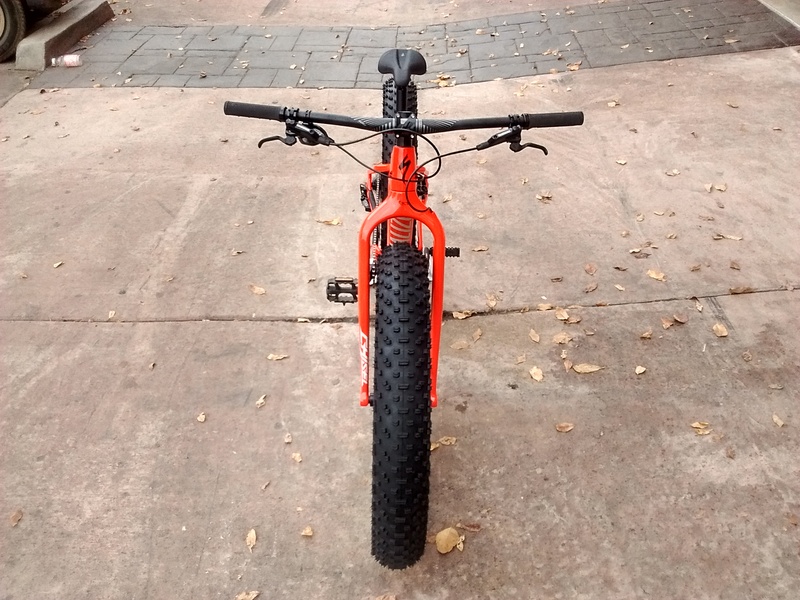 This entry was posted on Friday, October 23rd, 2015 at 5:27 PM and is filed under Featured Bikes. You can follow any responses to this entry through the RSS 2.0 feed. You can leave a response, or trackback from your own site.